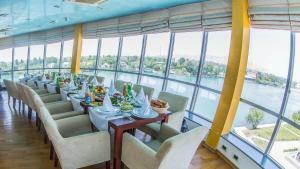 Featuring a sauna, hammam and indoor pool, Kur Hotel is located in Mingachevir, at the banks of the Kura River. Free WiFi and free parking are offered on site. 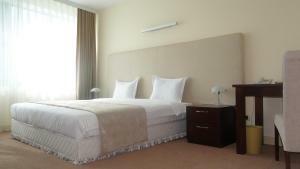 Providing river view, the rooms come with air conditioning, a private bathroom and a flat-screen TV. Some rooms have a balcony. Guests can dine in the hotel's restaurant, and there is also a bar and a snack bar on site. Room service, packed lunches and breakfasts in the room are provided upon request. 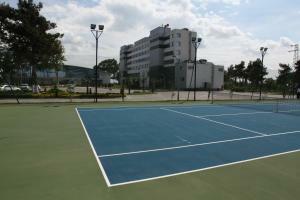 Tennis, billiards and table tennis can be enjoyed on site. 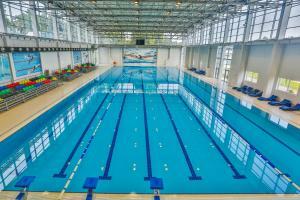 The Megecharskoye Sea is a 10-minute drive away, and Gyanja Airport is 89 km from Kur Hotel.